Plans are to construct two courts, with basic amenities, this spring/summer with another two courts as needed and finances permit. The purpose of this communication is twofold. A. To identify the location and invite comment on its suitability with regard to access, driving distance, visibility, and of course cost. B. To remind supporters significant funds are required to move ahead. A. LOCATION - Going north on 71, take the exit to the fairgrounds and Lazy Jacks. The property is just to the left on the hill as you exit 71. 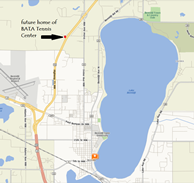 It is 9 acres and borders the Hiway and Lakewood Drive. The agreed price is $55,000. Considering the cost of land closer to the city, the board believes this is an exceptional opportunity. There are contingencies with regard to permitting which appear manageable. See attachments. B. FUNDRAISING - Actual donations to date and readily available pledges will provide the funds necessary to purchase the property. To begin construction in the spring will require a minimum additional cash on hand of $350,000. Current pledges for 2011 and 2012 should provide $100,000 of that amount. (Caveat: Depending on funds raised/pledged, final contractor bids, and our ability to finance a modest percentage of the project, the Board may decide to build only one court this year. Obviously if we don't meet our minimum fundraising goal the project could be delayed until 2013.) During the coming months BATA will intensify funding requests to individuals, business's, service organizations, and foundations. At this point no current board member has the time or experience to oversee a significant fundraising effort. If you, or someone you know, would be interested in helping out, please contact a board member. This is an exciting time. 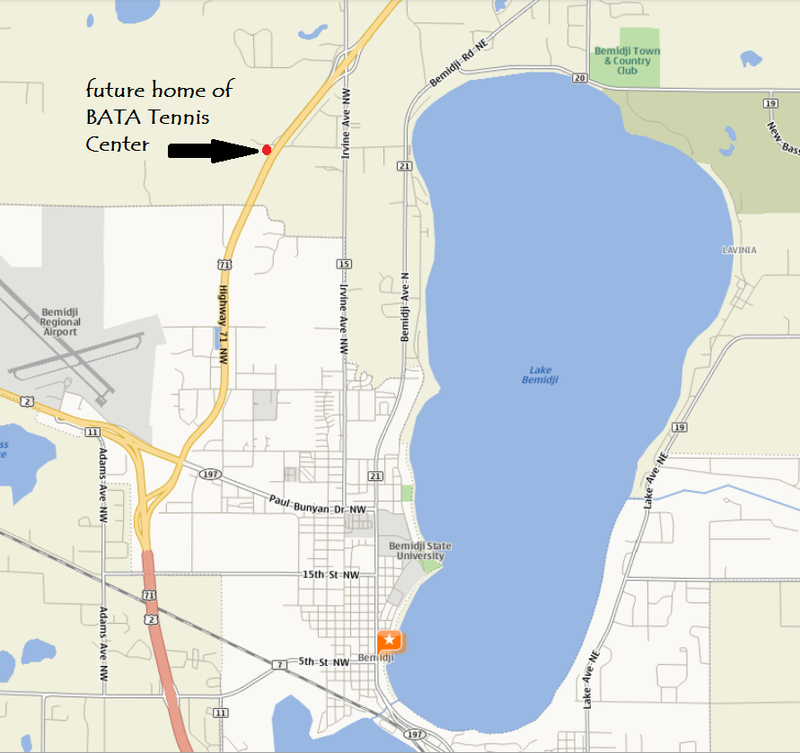 BATA's vision "To promote and develop the growth tennis in the Bemidji area" has reached a critical point. Continued growth requires year round opportunities for all of us, and most importantly the youth of our communities. The BATA Board welcomes comments and suggestions. Please contact any members listed below. In the meantime, HAPPY HOLIDAYS to you and yours.